Curious about the preaching at the Church of the Redeemer? Were you away this Sunday and want to hear the sermon? 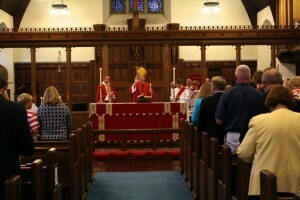 Each Sunday the sermon is recorded at the 10 am Eucharist. If you would like to listen to a sermon, they are arranged below by date. Unless otherwise noted, the preacher is the Reverend Patrick Campbell, Rector. For sermons from previous years, see here.